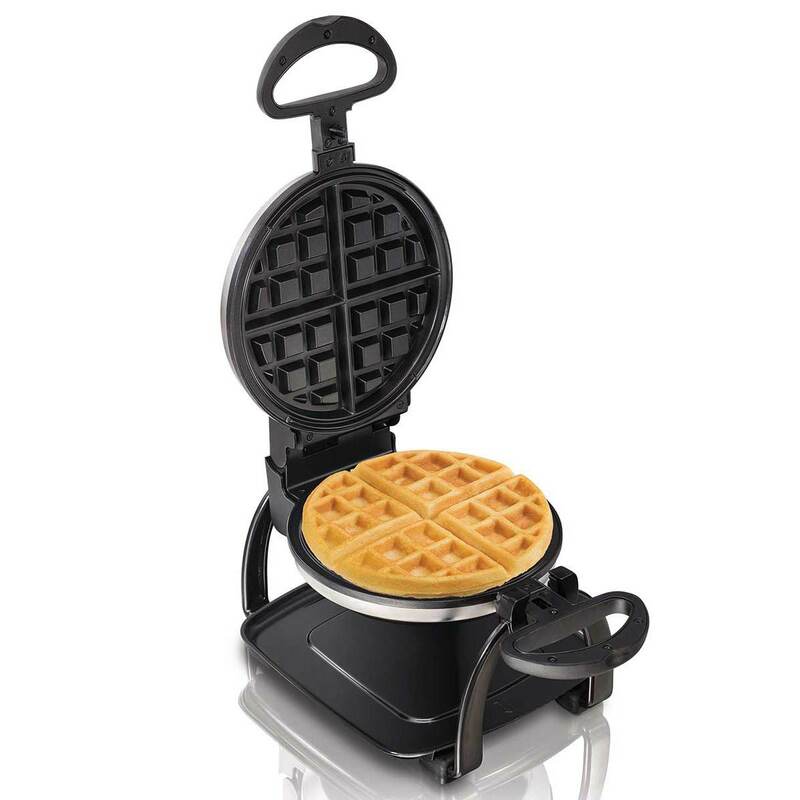 Make a breakfast treat worth waking up for with the Hamilton Beach® Belgian Style Waffle Maker. 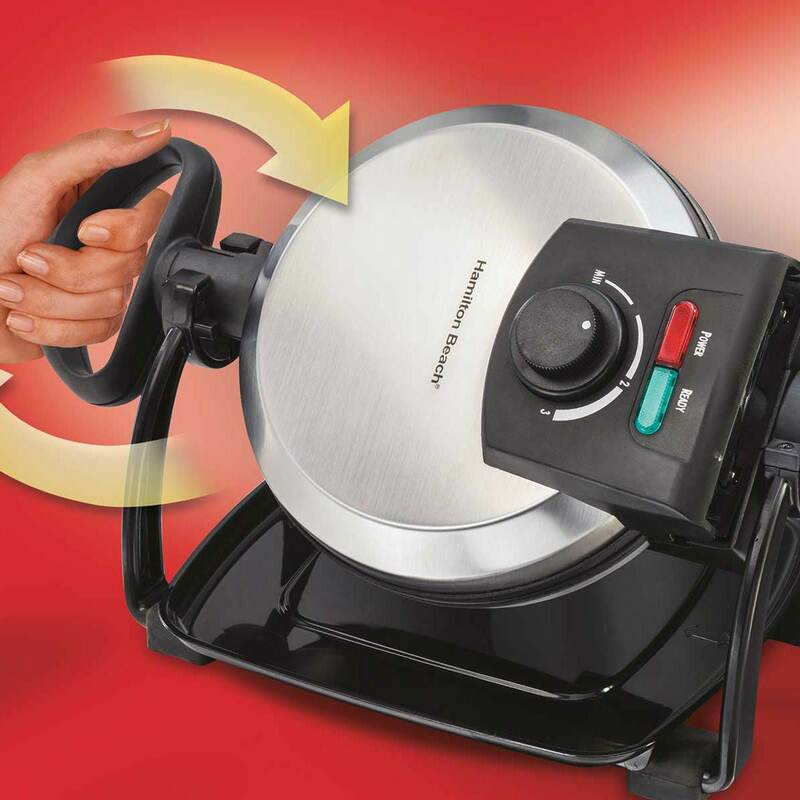 With a simple twist of the handle, you can achieve professional results – the flipping action helps create fluffy waffles that are evenly browned. 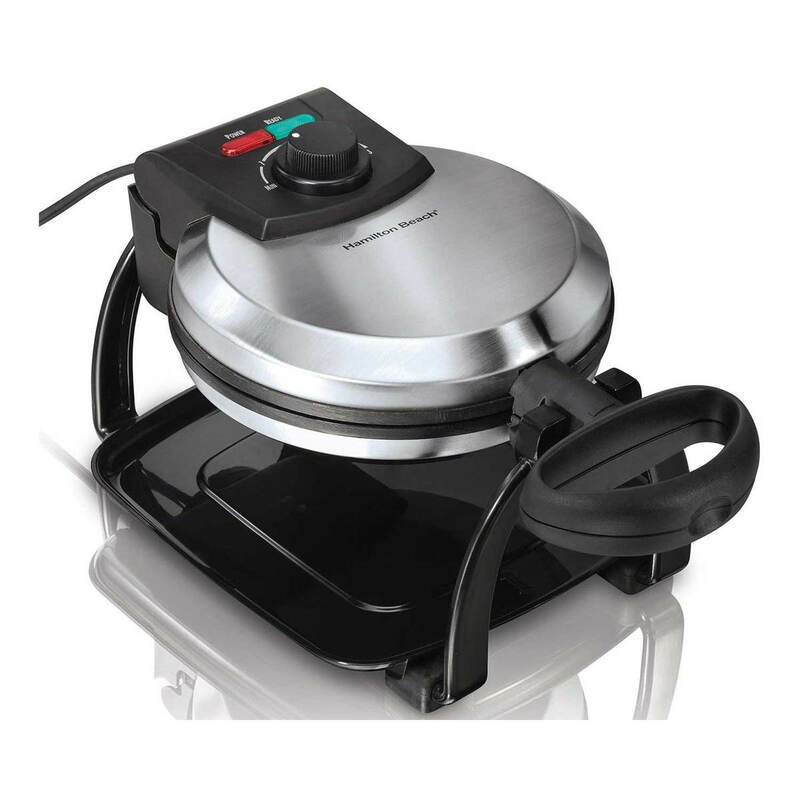 Use the adjustable browning controls to cook your waffle to the finish you want. The Belgian-style grids are nonstick, allowing for effortless release. 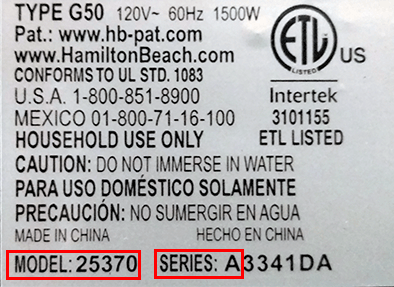 Indicator lights let you know when the waffle maker is on and ready to cook. There’s no need to worry about a mess - the lids lock securely in place during cooking and a removable drip tray catches any overflow. The nonstick grids clean up with a simple wipe down and the drip tray washes clean in the top rack of the dishwasher. With a little turn of the wrist, The Hamilton Beach® Belgian Style Waffle Maker lets you effortlessly bake thick, golden brown waffles, just like a restaurant chef.